After watching Sam Gold’s take on The Glass Menagerie on Broadway earlier this year (which earned Sally Field a Tony nod), anyone left itching for another dose of Tennessee Williams’ work had a chance to catch four of the playwrights’ one-act plays this month presented by the off-off-Broadway company, Always Love Lucy Theatre. The production, Hello to Rose, focused on characters inspired by Williams’ sister who was institutionalized for most of her life following a lobotomy. The first likeness was in the character, Willie (Pamela Joy), in the first play, This Property is Condemned, directed by Saima Huq. In this heartbreaking portrayal, the abandoned Willie lives in a condemned house that is seemingly symbolic of her young, tragic life. Next up was Hello from Bertha, directed by Omar Gonzalez, which scored laughs with its entertaining exchange between Bertha (Huq), a prostitute on her deathbed, and fed up bordello manager, Goldie (a convincing Emilie Bonsant), followed by The Last of My Solid Gold Watches (directed by Christopher Romero Wilson), involving a lively performance by a washed up, “warhorse,” shoe salesman (Wilson), a much younger salesman (Chris Lowe), and an insightful hotel porter (Gonzalez). 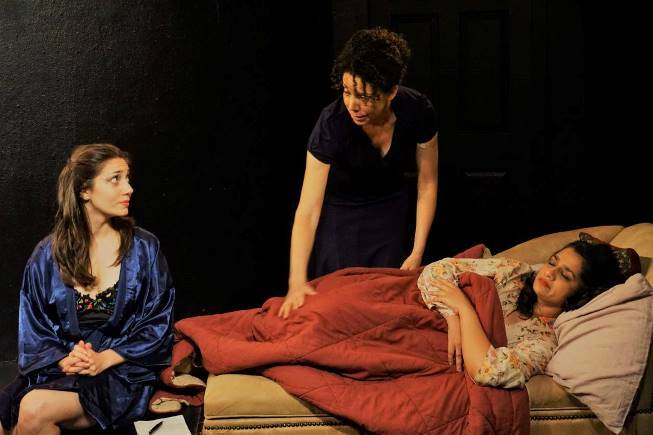 Tensions continued to rise in the last play, Lady of Larkspur Lotion (directed by Wilson), between tenants (Kelly Barrett-Gibson and Lowe) and their landlady (Wende O’Reilly) in a familiar Williams setting, a rundown apartment in the French Quarter. Wilson also served as the creative director for the entire production, and vocal performances between plays stitched together the intimate and enjoyable show. Hello to Rose was the fourth production for Always Love Lucy Theatre.